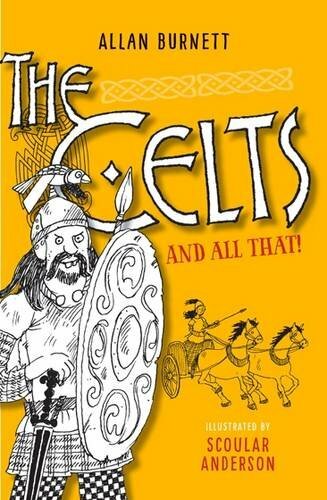 The Celts and All That is a book bursting with blood-curdling battles and dead important details about the ancient Celts. Everything you need to know about human sacrifice and headhunting is all here - plus a recipe for making your own Celtic bog butter! Packed with incredible illustrations of everything from iron-age jewellery to timber fortresses, this is an essential guide to a brilliant bunch of ancient Europeans who shaped our world. The Celts had roads, technology and inventions long before the Romans turned up - but did they also run around naked, as the Romans claimed?You'll find an intriguing answer to that and many other crucial questions inside. Plus you'll learn to tell the difference between Celtic myths and historical facts - but you'll also love the magical legends of Celtic heroes and villains, warrior princesses and monster slaying wizards.